Mortgage lenders have gotten a lot stricter since the recession, offering far fewer loans to consumers despite them having decent credit ratings. 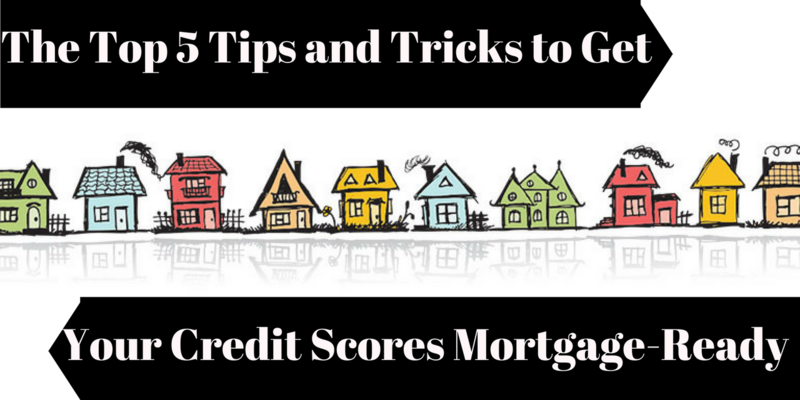 However, it’s still possible to qualify for a mortgage even if your scores are less than ideal. As the U.S. economy continues to rebuild, your credit profile should be rebuilding alongside it. These days, lots of discouraged people are either choosing to rent homes or stay put in the one they already own. As a result, the real estate market often requires potential buyers to submit extra aggressive offers to get qualified for a mortgage. In some parts of the country, in fact, average home-buying Joes are having to go toe-to-toe with deep-pocket investors who can pay cash for properties. All of these add up to one conclusion – now more than ever – you need to work on your credit report and make it look as attractive as possible to the bank. Prior to the housing crisis of 2009, it seems as though anyone with a decent income and credit score could get a mortgage (or two). Because many lenders pushed sub-prime loans on people with less than perfect credit, payments eventually defaulted, and the market took a nosedive. Although those lending practices are certainly unsustainable and should, therefore, be halted, it didn’t do any favors for folks with less than perfect credit. And while the housing industry received billions of dollars in bailouts, they are still pretty apprehensive about qualifying borrowers with low credit scores. So, what can the average American do to put the ball back in their court? Read on to find out. Negative items on your credit report are always working against you, making it nearly impossible for the positive marks to do much good. Things like charge-offs, collections, bankruptcies, and late payments can reduce your scores significantly. If those items stay on your credit report for too long, they could make it very difficult to get qualified for a mortgage, car loan, or credit card. All those times you submitted applications for funding, you were racking up the hard inquiries. Unfortunately, you not only got denied for financing, but you also did significant damage to your credit. Too many hard inquiries can reduce your scores and make it much harder to look attractive to lenders. Just six hard inquiries in six months can bring down your scores by as much as 30-80 points (depending on how the rest of your report looks). Since the number of inquiries on your credit report account for up to 10% of your score, it’s important to have as little as possible. This is especially true when you’re seeking a mortgage loan. Lenders will look at all aspects of your credit profile to determine your eligibility, and those seemingly harmless inquiries will really get in the way of you receiving the answer you’re looking for. Tradelines are simply open accounts with a credit history. Your report contains several of them, which may or may not be why you can’t qualify for a mortgage. If the tradelines on your credit report aren’t positive or aged properly, your scores may reflect that negatively. Therefore, it may be necessary for you to purchase an authorized user tradeline and have it connected to your account. The only way to do this and get the result you desire is to purchase a seasoned tradeline from a reputable financial service company. Their experts will be able to run your credit and analyze it to find out which tradelines will help your situation the most. Since there is no such thing as a one-size-fits-all seasoned tradeline, a comprehensive credit analysis is vital (not to mention a sign that the broker knows what he or she is doing). Even if you have a few hard inquiries and/or negative items on your credit report, you still need to keep track of how much credit you’re using. A credit utilization ratio of 30% or more reflects badly on your score. So, before you start applying for a mortgage with lenders, show them you can foot the bill by reducing your credit utilization ratio to a favorable percentage. It’s much easier to pay off debts and get your credit in good shape when you have a little extra income. Although you may already have a good-paying job, there’s nothing wrong with making more. By starting a home-based business in your spare time, you can increase your earning potential, pay debts off faster, and even look financially stable to potential mortgage lenders. Furthermore, there are numerous small business franchise opportunities that allow you to become a financial services affiliate and help others benefit from the credit improvement methods you used. Best of all, getting set up requires a small investment that can be funded despite you having imperfect credit. The addition of that tradeline to your credit report can diversify your portfolio and improve your scores, especially if you pay the bill on time and in full each month.